428 p., 5 ill., 15,7 x 20,9 cm. In cooperation with Corinna Flügge. The ›Betbüchlein‹ (Little Book of Prayer),written by Johann Habermann (1516–1590) is undeniably the most successful Lutheran book of prayer. Even Johann Arndt’s ›Paradiesgärtlein‹ (The Garden of Paradise) came nowhere near to equaling its distribution and the frequency of its publication. Habermann’s ›Little Book of Prayer‹, to the best of our knowledge published in 1567 for the first time and reprinted in the same year in a revised version, was published again and again in a flood of reprints up to the 20th century. This annotated bilingual critical edition of the basic text provides the two earliest publications which deviate strongly from one another. An afterword provides an introduction to the origins of the work and its impact on all of Europe. Anselm Steigers Edition dieses Gebetsbuches, bzw. seiner ältesten Textvarianten, ist wissenschaftlich präzise und bietet für ein weiteres Studium alle möglichen Materialien und Hinweise unter den Texten. [...] Eine wissenschaftliche Beschäftigung mit diesem Teil lutherischer Frömmigkeitsgeschichte lohnt sich, wie in dieser Besprechung schon angedeutet, auf jeden Fall. Thus another long-forgotten but nevertheless most important and relevant source of Lutheran piety and spirituality is available for the church and theology of our age. 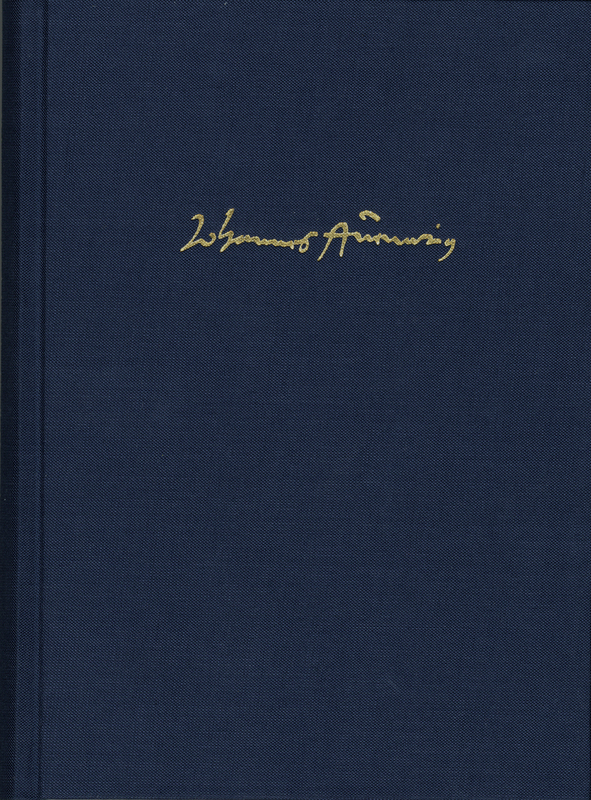 Not only church historians will benefit from this source, but Habermann's prayer book displays material and formal criteria for the prayer life of the church of all ages.